Denmark-based Danske Bank Group is using a ‘one-tribe’ approach to push its data analytics strategy in order to improve operations and enhance customer experiences. 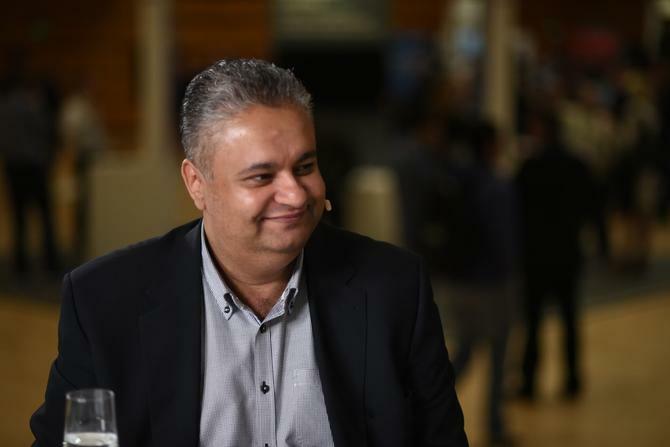 “When we set out on a project, we actually create a tribe across business, analytics teams, data engineers, platform engineers, even network engineers - so everyone is part of the tribe,” the group’s head of global analytics, Nadeem Gulzar, told attendees at the recent Teradata Sydney Summit. The ‘tribe approach’ brings about instant answers and communication, helps fuel challenges of thought and opinion, and fosters expediency in terms of generating ideas and delivering projects, Gulzar said. Danske Bank is a Nordic universal bank with 2.7 million personal customers, 19,800 employees, 1900 corporate and institutional customers, and 231,000 small and medium-sized business customers. The bank is now using the power of AI and machine learning to improve internal operations and beef up customer service, taking the retail bank to the next level. According to Gulzar, getting to this point requires brands to seek opportunities and first enter the research stage; proceed to the applied research phase; then move onto the practitioner level (putting solutions into production); and then finally into the disruptor phase and transform the business. The first step is to start advocating for AI. “We then set up a research team and the initial mantra was, ‘Look into this. Is it a technology we can use and what sort of value can it create for Danske Bank?” he explained. The team pinpointed areas where the bank could add value. In doing so, however, it stumbled across several challenges, many of which related to AI overhype. Another big challenge was the fact the bank had almost no POCs in production. A key turning point came when the bank sought external expertise, opting for Teradata’s analytics offering. This aided development of the bank’s first rollout of an advanced analytics tool, dubbed the Fraud Solution. “We are applying machine learning and deep learning to payment fraud, scanning transactions in real-time and putting out the results for our investigation officers and others interacting with us, but ultimately for our customers,” Gulzar said. The Fraud Solution was the key to unlocking and advancing the bank’s analytics journey. “It proved the technology. No longer we’re people talking about the potential benefit, instead we could back it up with real facts and real data,” Gulzar continued. Thanks to the investment, Danske was able to increase the detection rate of new types of fraud by almost 40 per cent. It also reduced false positives by almost 40 per cent. When it then applied deep learning, this figure increased to 60 per cent. Prior to the solution the bank’s investigation officers were looking at 1200 cases on a daily basis. “All of them needed to be investigated manually, so removing 40 per cent was a huge success,” Gulzar said. In order to be successful in the data analytics game, brands need to stay fact-based, he said. “You can call it a KPI, but this is the key for me to measure the success of these types of projects. We need to deliver, but we need to stay fact-based. That’s the only way we’re going to succeed in this business,” Gulzar said. The data analytics strategy has dramatically altered Danske’s marketing strategy, a move that began a year ago. This was when the group started doing targeting marketing down to the individual. “You need to either be there with the right product, when the customer needs it. And if you’re really good, you are actually there just a few steps before. But it’s very difficult,” Gulzar said. From device IDs and standard data to identify the text of the individual customer, the bank started gathering data on how fast the customer move their mouse, and how fast they click on their tablet when they interact with systems. Gulzar dismissed concerns about creepiness because the bank doesn’t expose the data or sell the data. “We simply use it to make ourselves, and our products, more relevant for the customer. So trying to predict the need from the customer and then be there as soon as the customer needs us - that’s the key for us,” he said.